As board members get better at staying out of operations and focusing on strategy, sometimes the new problem is calibrating that strategy. This means making sure that the staff and the board are on the same page about what that strategy means for their day-to-day activities. I love the word “calibrate.” It sounds so scientific and important. It sounds like you’re really doing something worthwhile when you calibrate something. And let’s face it … it sounds so much better than “checking to see that we’re on the same page.” Pffftttt. What a lame metaphor that is. The more planning sessions I facilitate, the more I’m seeing the disconnect between how the board sees what’s going on and how the staff sees things. And isn’t that exactly what the strategic planning session is supposed to accomplish? To align these perspectives? But it seems that what we agreed on last year, wrote down (hopefully), and moved forward with, often morphs into two different plans. One for the board and one for the staff. 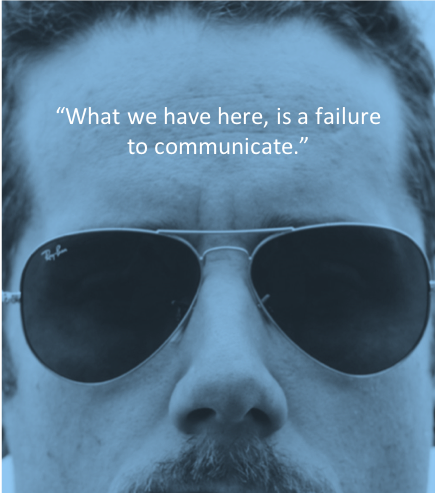 To quote a notable lawman from the movies, with some cool sunglasses, “What we have here, is a failure to communicate.”I used to worry about the fact that the board was down too far into operations, and not staying at the strategic level. And this is still a common issue. But more often lately I’m seeing that many boards are doing a better job of keeping their focus on the strategic rather than the operational, only to have that vision get lost in translation to the staff at the execution level. This triggers some interesting conversations at the next planning session (often where I’m stepping in). The staff thinks they’ve executed the plan, but the board wonders why they’ve run off on a tangent. Senior staff members at the planning session should ask challenging questions about how the plan is coming together. Too often the staff is so eager to pursue the board’s plans that they’re not willing to ask clarifying questions. They sit too quietly, nodding in agreement. Often they’re afraid to provide input for fear that it would appear to be a challenge to or contradicting the board. Board members should not tolerate silent approval from the members of the planning session. The board does not need “yes men.” Don’t confuse challenging ideas with dissent or subversion. Encourage healthy debate. Make sure everyone is comfortable knowing their input won’t be mocked or dismissed. Get the plan in writing and give the participants a chance to review it for clarifying points that seem vague or open to misinterpretation. Revisit the plan regularly and adjust accordingly. Things change. You must be able to adapt to thrive. For those who don’t know me, I’m an old marching band geek. 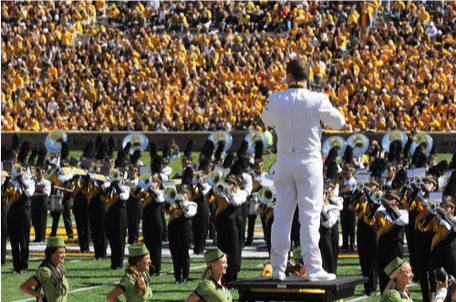 I have a presentation called “Everything I Know About Leadership I Learned in Marching Band.” And here’s the relevant point: at the field level, what the band members see is chaos. People moving in opposite directions and playing different parts. If they don’t know and understand their place in the strategic plan they can’t execute it. The same is true for the staff at the credit union. Communicate the plan to everyone and make sure you’re marching in step (to torture the metaphor here). Thank you for a most informative blog! Thanks Shelia! I’m glad you find it valuable. Are You Holding Executive Sessions … Regularly? Sign up now to receive Tim’s blog, our newsletter and occasional updates.